"Turn Up On Time, But Very Friendly And Professional, Cleaned Up The Mess Once Job Was Complete." "Everything As Expected, I.E. Prompt Arrival, Methodical Work, Explained What He Was Doing And Cleared Up." "Was Polite And On Time, And Did The Job Very Quickly And Professionally." 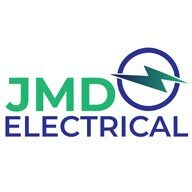 "Fast Response To Job, Polite, Turned Up At Stated Time/Day"
"Quick Response, Friendly And Fixed It Straight Away"
Need a Electrician in Rugeley?